The sailor on the cover of this book might be Sinbad in person. This character of The Thousand and One Nights embodies numerous travelers and legendary adventurers who visited lands and seas from the columns of Hercules to beyond the Straits of Sunda Islands. During the past thirty years, Reza, as a Sindbad of our time, has brought images of the East, exploring what remains of the ancient ways of living in societies that are marked by the onslaught of the modern world. 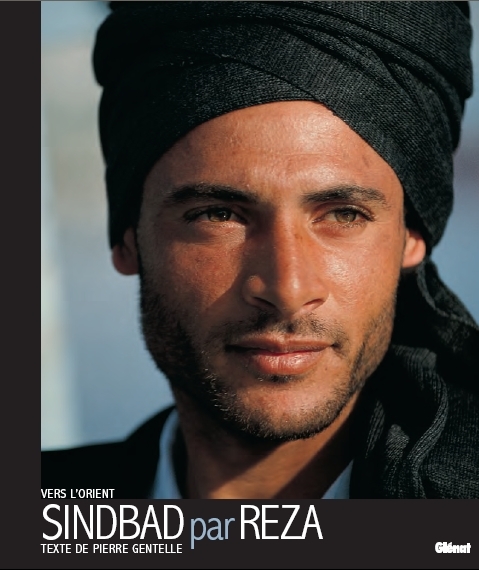 The seven stories of Sinbad, which combine pictures of Reza and texts of geographer Pierre Gentelle pose a brotherly eye on faces and scenes of today, sometimes resembling so much, old paintings. They express the happiness of celebrating and sharing the pain of injustice or pleas for peace. They highlight the simple life, crafts careful not to damage the planet, gatherings of families and friends around a fire or a meal. For all Sindbads, be they from Cairo or Baghdad, from Hormuz or Calicut, be they called Reza or Pierre, they all travel to meet the realities of their time as well as traditions and ancestral wisdom. The discovery is always worth trying. What better place than a bazaar, a caravanserai or a rug in a simple hut to raise the issue of boundaries between civilizations and the future of the children of the current century?